Xpressbet, the Official Online Wagering Partner of Santa Anita, is pleased to offer you 30 minutes of free streaming video of Santa Anita racing. 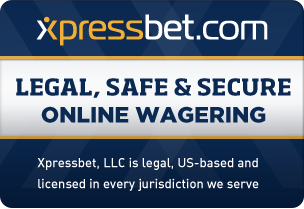 Xpressbet offers a legal, safe and secure way to watch and wager on Thoroughbred, Harness and Quarterhorse racing from over 300 tracks worldwide. To access additional streaming video and to bet the races, simply open an Xpressbet account.